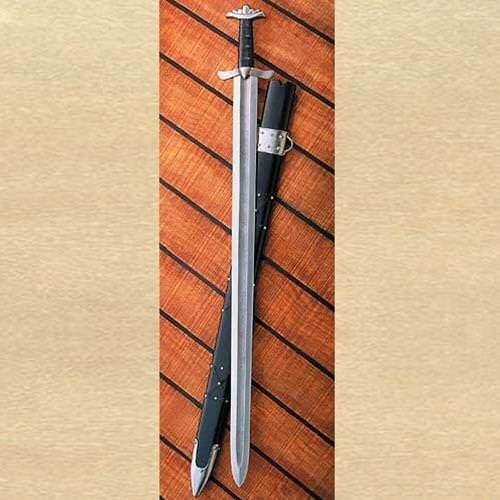 This sword was developed to counteract the tremendous amount of stress placed on sword blade during battle. Early Viking swords used a layering of iron interwoven with steel strands. Iron though tougher than bronze, caused a bent in sword. Thus, Damascus or pattern welded steel was used. 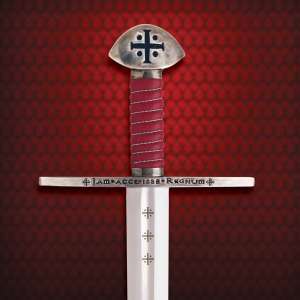 It made the blade strong enough to withstand the rigors of combat. The Damascus specimen was discovered during the excavations of a number of circa 850-900 Viking swords in Finland. It is somewhat different from the typical down curved versions in its cross guard. 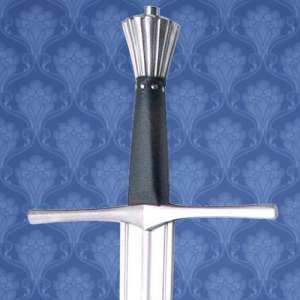 This replica sword is made of carbon Damascus steel. The blade is polished. Pommel and cross guard are made of steel. 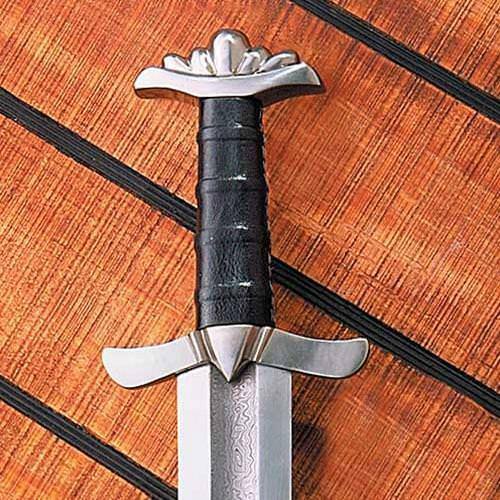 The wooden grip of the sword in wrapped in leather. The Scabbard is made in wood coated with leather featuring steel mounts. The sword can be sharpened for additional fee.